Free Shipping Included! Web Power Switch Pro Model by DIGITAL LOGGERS at The Square SC. MPN: LPC9. Hurry! Limited time offer. Offer valid only while supplies last. Updated mode. with 6 foot detachable power cord and heavy duty power supply. Keypad for local outlet control. Ethernet for reliable remote control. 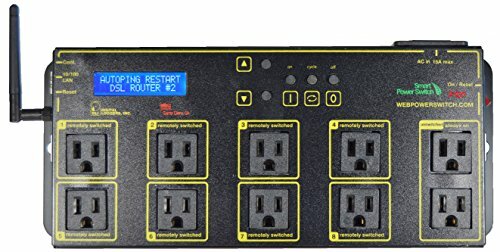 Rugged, reliable power control over the web.